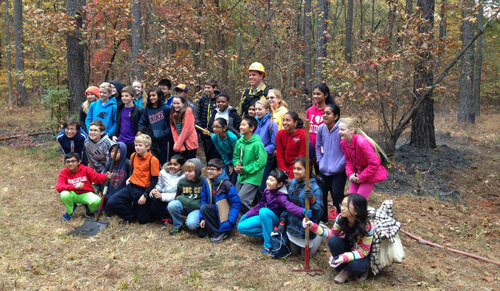 The Mountain Island Education State Forest is the newest state forest supporting the mission of conserving natural resources and water quality, providing working forest demonstrations, and offering educational opportunities to the public. The Forest protects 12 miles of shoreline on Mountain Island Lake in the Catawba River Basin and is in the primary drinking water supply area for Charlotte, Mecklenburg and Gaston Counties. The NC Forest Service manages the Forest and supporting the public-private partnership with Gaston and Lincoln Counties, Gastonia and several conservation groups. The partnership’s activities are controlled by a conservation easement placed on the property in 1998. 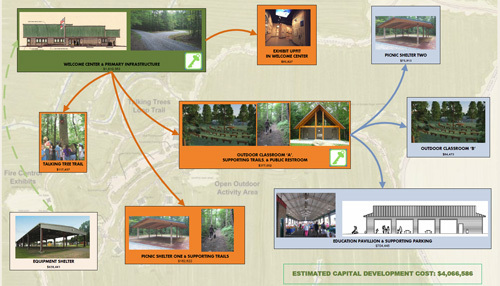 The Forest’s public-private partnership’s goal is to build educational center, allowing the Forest to be opened to the public. This needed infrastructure provides dedicated space for forest rangers to offer educational experiences to adults and children. The Forest’s educational opportunities focus on repairing and protecting river and lake areas so that good water quality is maintained for citizens and wildlife living in the watershed. Groups can access the Forest by scheduling an event with the North Carolina Forest Service. We need your help! Every dollar donated gets the partnership closer to its goal of building an education center. Join us today! Even small donations will help us achieve the goal of building this critical educational resource! Please click the link below to donate today. Every dollar helps! ***When filling out form please select "other" in the field that says "I want my donation to be designated toward" and in the following field, please type "Mountain Island Forest Capital Fund"*** You can also designate a donation in honor of a loved one.